This is one very exciting reading material packed with lot of action, hot scenes and suspense. This book is so full of twists, turns, love, hate and laughter that it was truly hard for me to put down I had to read it as fast I can because I wanted to see how it will finish. I like to read books that have men in uniform even if they are ex army/police and this one didn't disappointed at all. I have to mention that the female character Kellie, a former Marine, is also strong and independent and she is perfect for former Navy SEAL Matt/MacGyver Iverson. The plot, characters and authors storytelling is great. 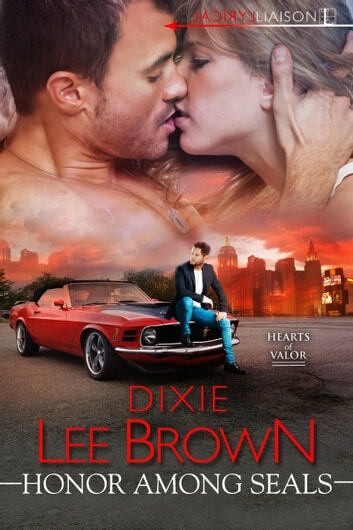 Dixie Lee Brown is a new author for me and this is her first book that I am reading but it won't be my last, I am sure of it. Dixie writes with passion and knowledge in her subject. This series is a continuous battle . Then there is the love story, never straight forward but reaching the usual point, but good reading getting there.